The Minister of Transportation, Hon. Chibuike Amaechi has said that the federal government need the sum of 3 billion naira to link the rail project from Itakpe in Kogi state to the nation’s capital, Abuja as well as seaport in Warri, Delta State. 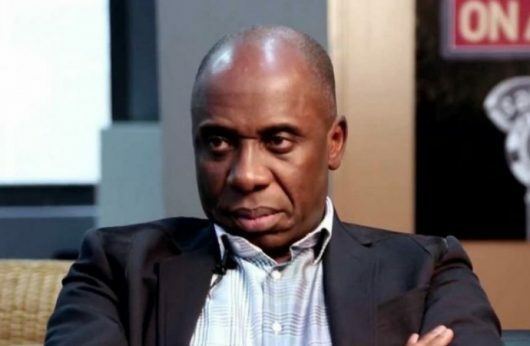 Amaechi, who made the disclosure while inspecting the level of work done so far from Itakpe, Kogi State, through, Agenebode, in Edo State, down to the East-west corridor at Owa-Iyibu, Agbor and Warri, Delta State, noted that the linkage would cost about 3 billion from Itakpe to Abuja with the seaport at Warri. “The plan to link Itakpe to Lokoja has to go to the cabinet; once it is approved, it is a different contract all together but before then, the Itakpe-Warri will continue to function. “What we are doing now is to take people from the south-south to the North but, unfortunately, Itakpe is in the middle of nowhere and there is need to get them to Lokoja, so that people can pick train from Lokoja to Warri. Responding to the issue of low patronage, he said: “If you connect it to Abuja, the number of passengers would increase. The track was initially built for iron ore but we asked them to include passenger services because we intend to use it as a central line. “The idea is to connect Nigeria without too many tracks. So, if we construct Lagos to Calabar, Port Harcourt to Maiduguri, Lagos to Kano, they need a central line that runs through them so u connect the entire country. “So, if you look at it, Lagos-Calabar will run through it, the central line will run past Lagos-Kano as it go through central line then we will connect Maiduguri through Lagos-Kano. On completion of the 12 stations, it is expected that the rail line will accommodate both the companies mining iron-ore as well as passengers.